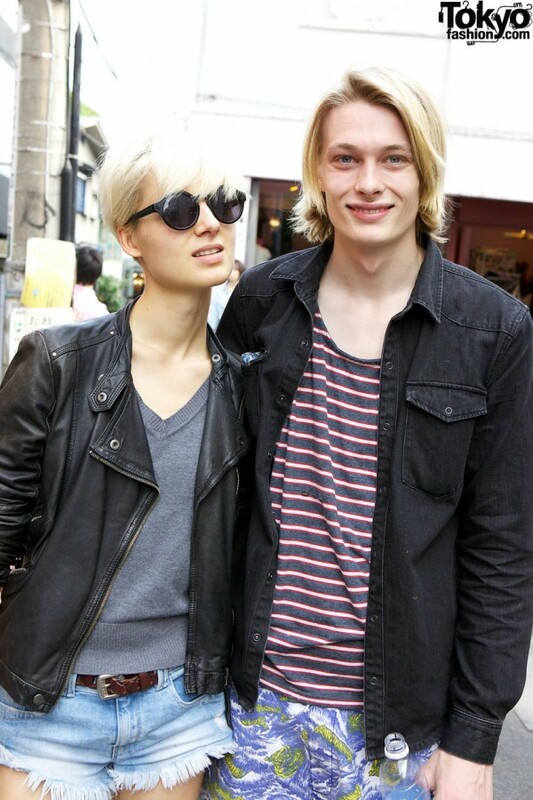 Here are two striking Australian models – James Cater and Alina Levichkina (Australia) – who we ran into on the street in Harajuku. Both of them have extensive magazine editorial, advertising, and runway credits in Japan and around the world. Alina and James were both very friendly and we appreciate that they were nice enough to stop for a couple of quick street snaps. Despite not being a huge fan of the girl’s top/jumper, I love the look overall! RLondon – do you not like her straight long legs? or her nice white teeth? They are looking very cute! They look so good together. And she just looks so totally cool! anyone know where to get the shoe the male model was wearing ? They’re both cute. 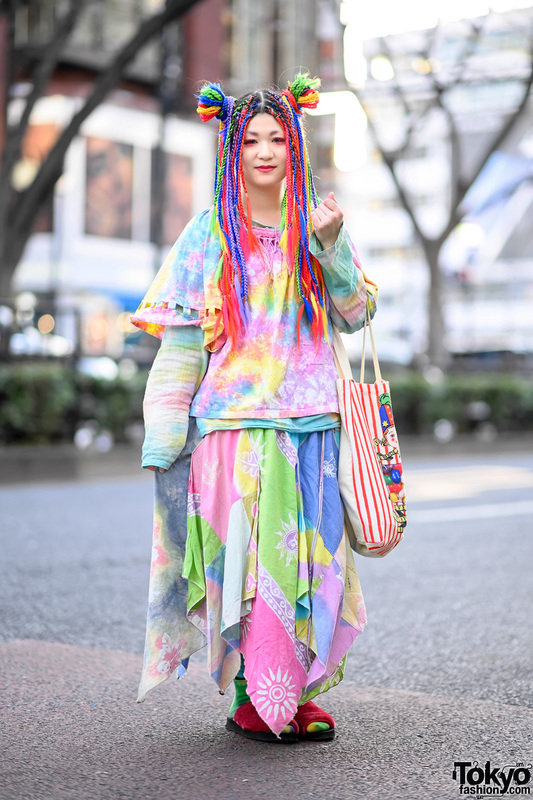 The outfits are okay, just a bit too “urban outfitter-ish”. I can’t help but wonder if these two would receive a better reception here if they were both Japanese. There’s nothing wrong with either of their outfits.